In Adhyay 14 Shlok 1, 2, God (Brahm) is saying that Oh Arjun! I shall again impart the superior most knowledge among all the knowledge, knowing which all devout souls (sages) have attained this (which has been explained in Adhyay 13 Shlok 34) (Param siddhi) supreme perfection (supreme salvation). (Because those who acquire complete knowledge, they do bhakti by adopting the path to the Supreme God. They do bhakti of the Purna Parmatma-SatPurush which is above the sadhna of Brahm (Kaal), Brahma, Vishnu, Shiv and gods-goddesses. Therefore they go to the supreme abode (Satlok).) That worshipper of the Purna Brahm endowed with the qualities of a saint acquires power similar to God i.e. becomes equivalent to Brahm and acquires the nature of doing true bhakti of Purna Brahm. He does not do sadhna of other Gods. In Adhyay 14 Shlok 3 – Oh Arjun! My Prakriti is the yoni (womb) and (Aham Brahm) I, Brahm (Kaal) fertilze the egg in her. All the living beings are produced as a result of it. In Adhyay 14 Shlok 4, has said that Oh Arjun! The living beings who take birth in all the species of life (wombs), Prakriti is their mother who conceives them and I, Brahm (Kaal) am the seed giving father. In Adhyay 14 Shlok 5, has said Oh Arjun! Satvagun (Vishnu), Rajogun (Brahma), and Tamogun (Shiv), these three gunas born of Prakriti (Durga) bind the immortal soul to body i.e. are obstacles to complete liberation. In Adhyay 14 Shlok 6, has said that of those three gunas, Satgun (Vishnu), because of being pure is illuminating (a fake Anami lok formed by Kaal), and binds the soul in relation to happiness-giving knowledge. Does not let it escape/get across. Puts it in 84 lakh births. 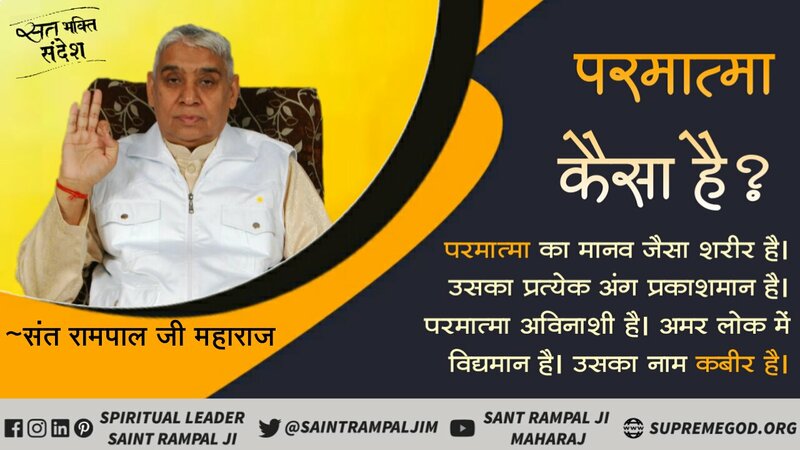 I explained the creation of God Kaal and the pain inflicted by him in the 84 lakh births and the consumption of one lakh human beings daily by Kaal to a very sentimental devout soul and explained the onward path to Satlok (supreme salvation). Told him that Kaal will eat you and all the gods. On this that devout soul said that I will certainly not go to Satlok. Because if I will go to Satlok then who will satisfy God’s appetite? Here, that person is dominated by Satgun-Vishnu which became an obstacle to his true path. 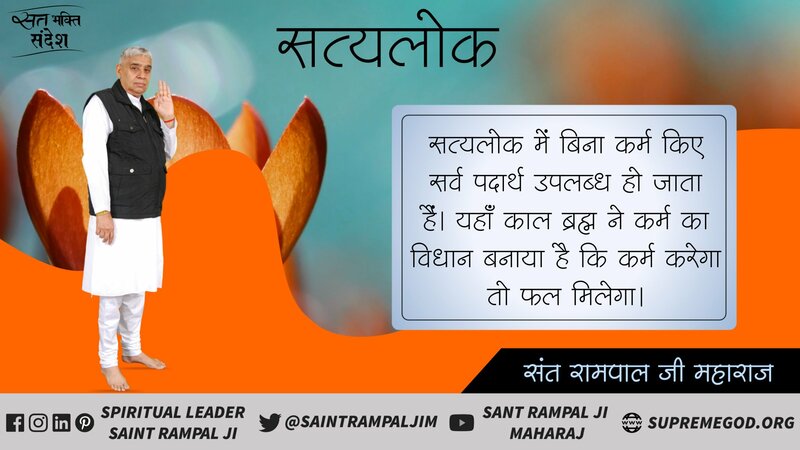 Without discretion, a Satguni, despite being a noble soul, is not able to escape from Kaal’s trap. In Adhyay 14 Shlok 7, has said that Oh Arjun! Passion-like Rajogun (Brahma) also keeps the soul bound to action and to the desire of enjoyment of its result i.e. does not let it become free. Because of the worldly pleasures, overpowered by the desire to enjoy without any restraint, is unable to escape from Kaal’s trap. Please note: - when will one see? After becoming a donkey? Only the potter will see the donkey then. One quintal weight on the waist and above that, will strike with a stick. Despite having knowledge, a living being overpowered by Rajogun is unable to escape from Kaal’s trap. Translation of Adhyay 14 Shlok 8: Oh Arjun! Know the Tamogun, which deludes all the embodied beings, to be born of ignorance. It binds this soul to lust/intoxication, laziness and sleep. (Lankapati) Master of Lanka, king raven did arduous sadhna and bhakti of God Shiv (Tamgun). He even offered his body by cutting it. In return, God Shiv granted ten heads and twenty arms to Ravan. When Shri Ram killed Ravan, he cut his head ten times. As a result of Ravan’s bhakti, ten times he received the head back, which means, he did not die even after having cut the head ten times. Everytime he used to get a new head. But his Tamogun (arrogance) did not finish. As a result of which he became so ignorant (blind) that he abducted his own mother (Mother of the world), Sita. Tamogun seized his wisdom and he underwent utter destruction. This is the result of sadhna of Tamogun (Shiv Shankar). 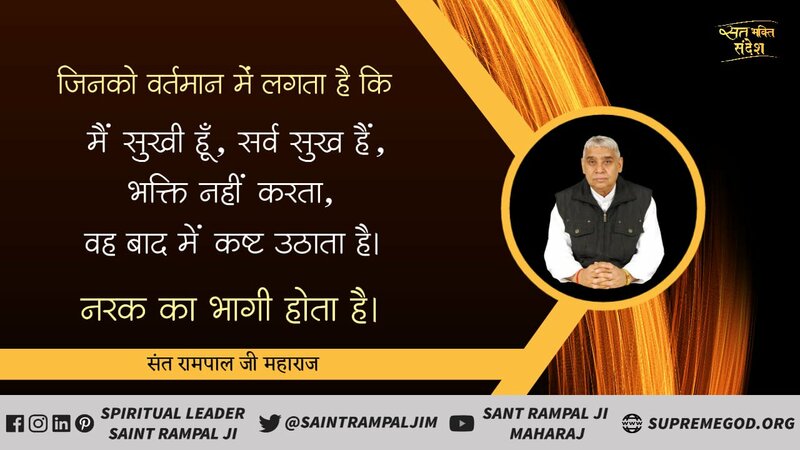 In Gita Ji, God Brahm (Kaal) intends to convey that even by bhakti of these three gunas, a living being can not get across. My (Brahm) sadhna is better than this, but it also does not render complete liberation. God Brahm (Kaal) has himself called it an inferior salvation in Adhyay 7 Shlok 18. In Adhyay 14 Shlok 9, has said that Oh Arjun (Bharat)! Satgun binds one to happiness and rajogun to action and Tamogun, veiling the knowledge, engages one in wrongdoings (opposite path). In Adhyay 14 Shlok 10 to 17, has said that one guna suppressing the other, maintains its influence on the living being. One gentleman, overpowered by Satgun-Vishnu, brought an anonymous (who had no relative) patient home (Satgun was in excess and other gunas were suppressed) saying that I will take care of you, and will also offer you treatment. You may consider me as your son. Having brought him home, overpowered by Satgun-Vishnu (other two gunas repressed), got new clothes stitched for that man and started his treatment. One day, that patient spat on his chips floor. That day he threw that patient out of his house. At that time, Tamogun had risen and the other two gunas were repressed. In Adhyay 14 Shlok 18, it is stated that one who is situated in Satgun (i.e. 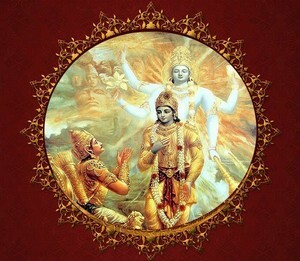 a worshipper of Vishnu) goes to higher loks like heaven etc. Then goes to birth-death, hell and 84 lakh births. 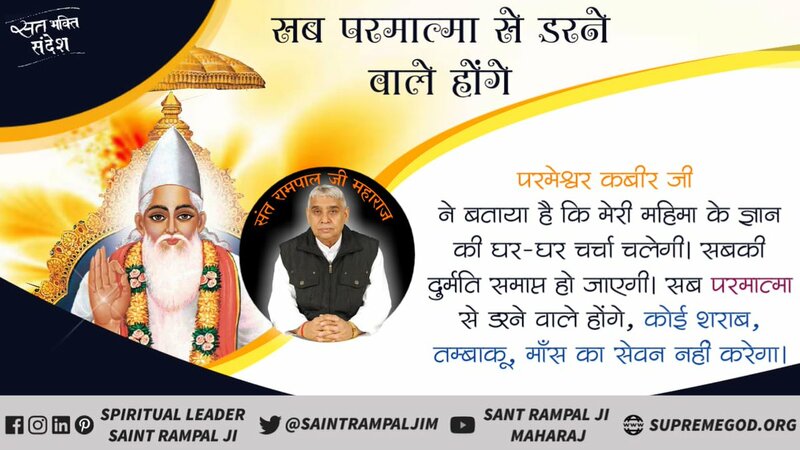 A worshipper of Rajgun (worshipper of Brahma) after obtaining one or more birth of a human being in the world of men (mortal world – Earth) then goes to hell and in births of 84 lakh species of life. One, dominated by Tamgun (worshipper of Shiv) straight away descends to hell and 84 lakh births. In Adhyay 14 Shlok 19, it is mentioned that after understanding this entire knowledge in essence, a discerning devotee does not perceive the three gunas (Brahma, Vishnu and Shiv) as the doer. With a special perspective, perceives the power superior to these gunas as the doer. He attains the Matavlambi nature i.e. that devotee is a follower of the opinion (viewpoints) mentioned in Adhyay 13. 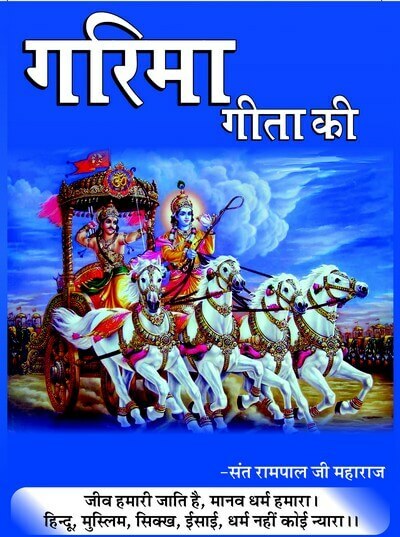 He is known as (mad'bhavam') Mat-Bhavam' (Brahm has explained his opinion in Adhyay 3 Shlok no. 31, 32) and does bhakti of the Purna Parmatma. In Adhyay 14 Shlok 20, it is stated that that soul considers the gunas as the cause (root of suffering) of this body’s birth i.e. birth-death and transcending the three gunas i.e. abandoning the bhakti of Brahma, Vishnu, Mahesh, becoming free from birth-death, old age and all the miseries (attaining complete liberation, the Complete God/Purna Parmatma) attains the supreme happiness. In Adhyay 14 Shlok 21, Arjun inquires that Oh Lord! What are the characteristics of a bhakt who transcends these three gunas? What is his conduct? How does he transcend (is beyond) these three gunas (Brahma, Vishnu and Shiv)? 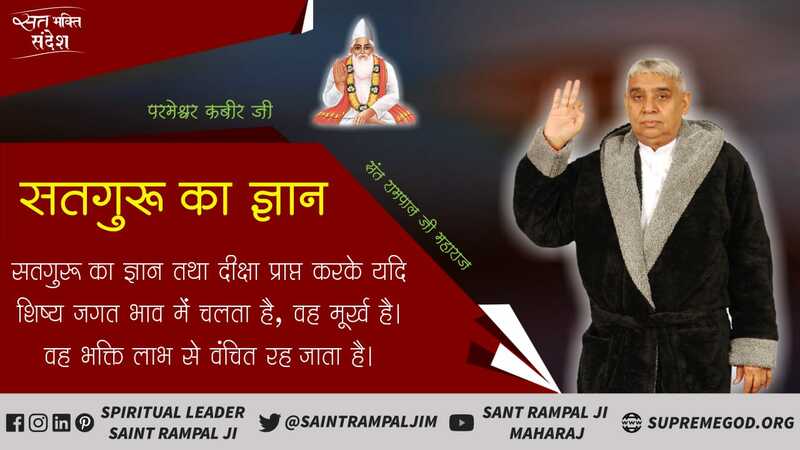 In Adhyay 14 Shlok 22 to 25, it is mentioned that a bhakt who, on hearing the glorious praises of a god, is not attracted towards him because he has acquired complete knowledge that this god (guna) only has this much glory which is not sufficient for the deliverance of a living being. Like, god Krishna (Vishnu-Satgun) killed Kans, Keshi, Shishupal etc and gave wealth to Sudama. It is not sufficient for the well-being of an ordinary living being. Because the worshipper of God Vishnu (Satgun) can only go to superior loks like, heaven etc. But the crisis of 84 lakh births will prevail. Therefore that devotee keeps his thoughts steady and does not change his nature out of affection and neither is hostile towards those gods (Brahma, Vishnu and Shiv), nor desires for them. He is acquainted with their powers and considers them upto that level and unmoved and constant, remains engrossed in the God who is even beyond these, and remains balanced in joy-sorrow, mud-gold, pleasant-unpleasant and criticism-praise. He considers honour-dishonour, fried-foe to be the same and first of all gives up arrogance. He (bhakt) is said to have transcended the gunas. In Adhyay 14 Shlok 26, it is said that – And one who (bhakt) practices unadulterous bhakti yog i.e. only does sadhna of one God (abandoning the worship of other gods-goddesses, ghosts-pitras and Brahma, Vishnu and Shiv), that soul is undulterous. Like, if a woman besides her husband keeps company of other men, then she is known as an adulterous woman, who did not stick to her husnabd. Therefore adulterous bhakts are those who are not based on one God. Those who practice devotion with undeviated mind (with the desire of only one God) and who remain based on one God, they are said to be practicing unadulterous devotion. 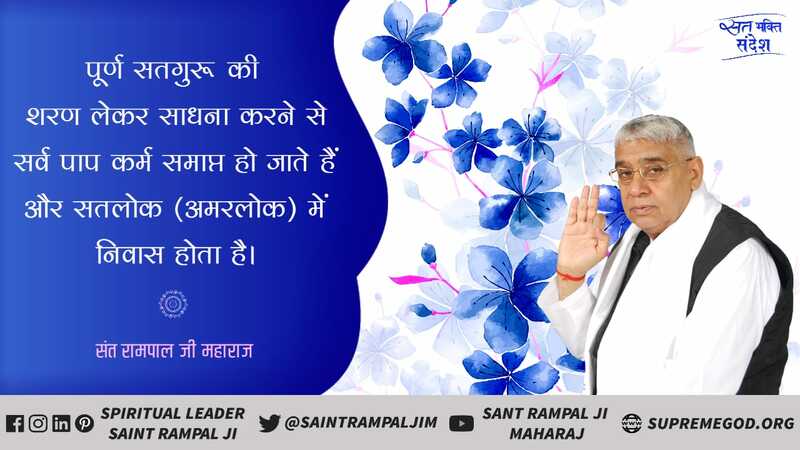 In Adhyay 14 Shlok 27, Brahm-Kaal is saying that I only am the first stage (pratishtha) of the Purna Parmatma’s imperishable nectar, eternal worship and indestructible and constant happiness. This Kaal only gives way to a bhakt who is a worshipper of Satnaam by bending his head down. 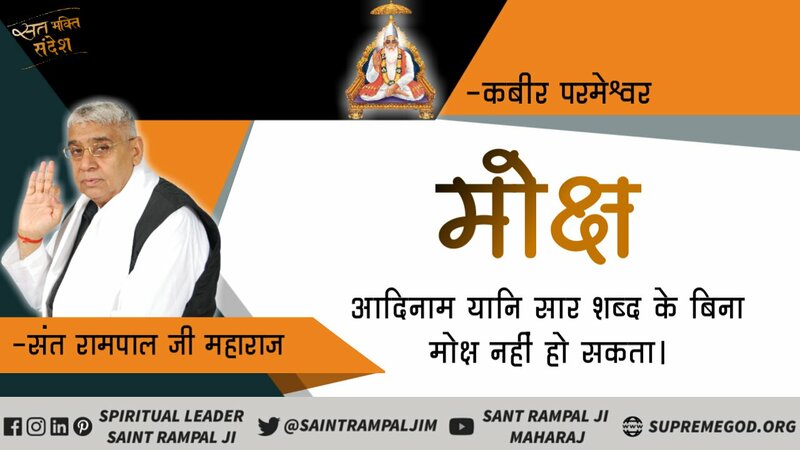 Then the Kabir hans (soul) by stepping on that Kaal’s head goes to Satlok. 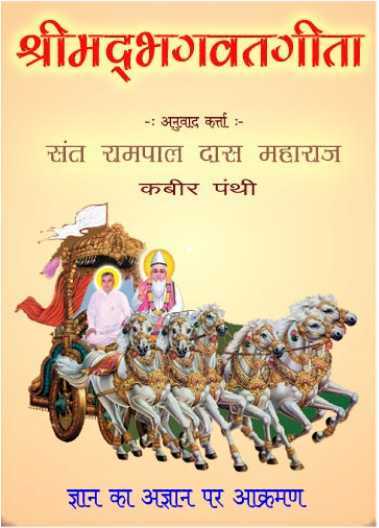 Kaal said to Kabir Sahib that – “Jo bhi bhakt hovae tumhaara | mum sir pag de hovae paara ||”. First rank i.e. stage is Brahm. After crossing the Brahm lok, comes the lok of ParBrahm (Akshar Purush). When the worshipper hans of Kabir Sahib goes to Satlok, then the first stage is to cross Kaal-Brahm’s lok. Even this first stage is only possible when he does jaap of ‘Om’ mantra keeping the miseries of Kaal in mind. Like, in Satnaam (the mantra of Kshar Brahm is Om and the mantra of Akshar Purush, ParBrahm is ----) the jaap of both the mantras is done through breaths. The practice of jaap (recitation) of Om mantra after taking it from a Complete Saint makes one free from the debt of Kaal. Then Kaal (Brahm) gives passage from his boundary (twenty-one brahmands) into ParBrahm’s lok by allowing to step on his head. 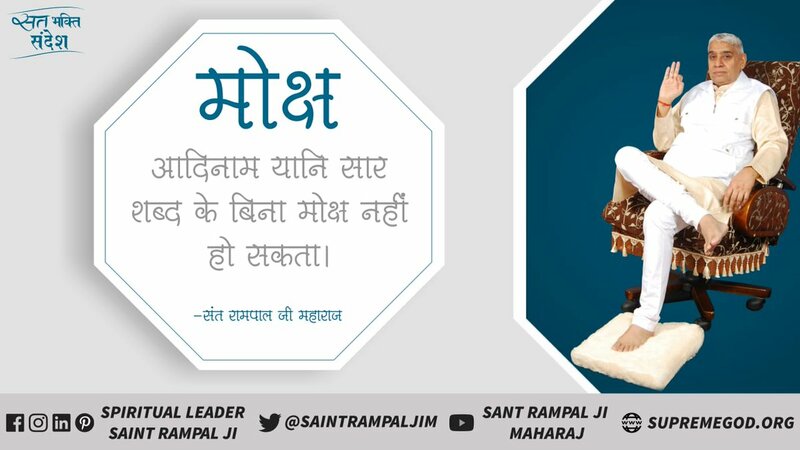 Because a devout soul who also has Saarnaam along with Satnaam and who remains in Gurudev Ji’s refuge until last breath, he develops so much power of bhakti that Kaal (Kshar Brahm – Jyoti Niranjan) becomes helpless and bows before that hans. Then that bhakt by stepping on his head goes to ParBrahm’s lok. This is the first stage. The second stage is to cross ParBrahm i.e. Akshar Purush’s lok. For that the jaap of Akshar Purush is ---- mantra. If with this one does not get Saarnaam then also it is incomplete. Saarnaam is given after a lot of practice of jaap of ---- mantra. ParBrahm’s lok is crossed by the power of the earnings of practice of jaap of Saaarnaam. Because by the practice (earnings) of jaap of ---- mantra one becomes free from the debt of ParBrahm. After crossing the lok of Akshar Purush even the ---- mantra does not exist. Then there is jaap of only Saarnaam by Surati-Nirati. One who has obtained Saarshabd from Guruji, that hans endowed with Saarshabd, on the basis of the sound produced from the earnings of that Shabd, goes to his correct place in Satlok (the sound which is heard in the body is Kaal’s web only). This is the third stage (position). The completely liberated hans live here. In Adhyay 14 Shlok 27, Brahm (Jyoti Niranjan) has stated that I (Kaal) only am the stage in making one attain the true happiness of that Purna Parmatma. In simple words, the readers should understand this as, for eg, if one has to get one domicile (certificate) made, then his first stage is Registrar. The Registrar gives in writing that the concerned person is a resident of this region or village, but one who makes the domicile is some other higher official. Likewise, Kaal God is the first stage in attaining the Purna Parmatma.